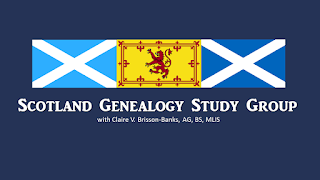 Tomorrow morning we'll once again convene our Scotland Genealogy Study Group with an international panel primed for an informative discussion including close observation of documents and websites. 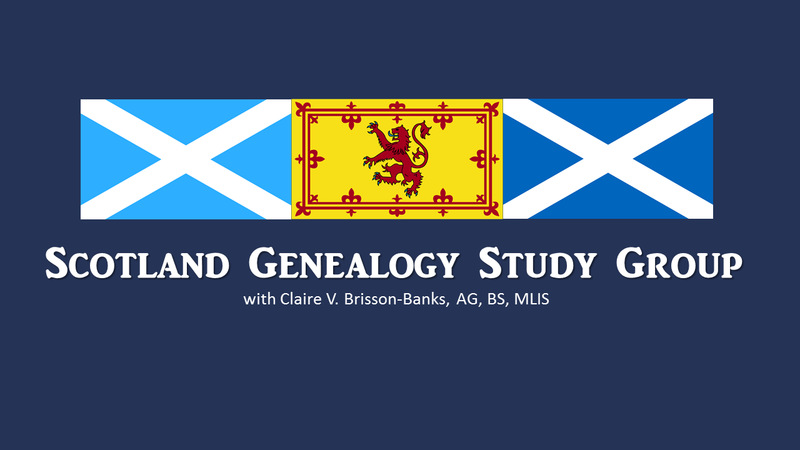 +Claire V Brisson-Banks is our mentor, and as usual +Cousin Russ will be on hand to weave your comments into the discussion. Directions for attending are found below, along with links to the previous study group sessions. We are also aggregating the links we mention in this multi-page Google Sheet. This means you should download the latest version every week.